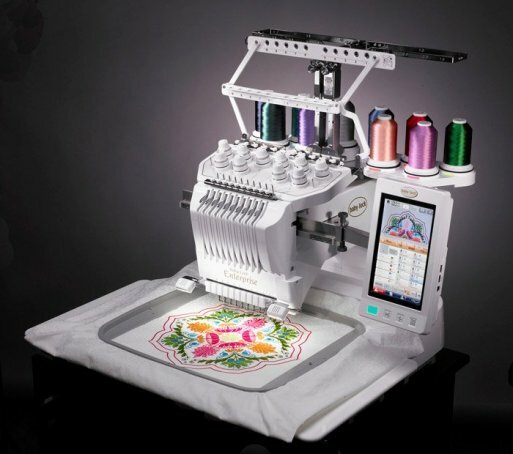 With the Enterprise’s editing features, you can combine, reposition, resize, rotate and mirror your designs and watch as the changes happen instantly on the LCD screen. Alter designs individually, or group design elements together to quickly move or edit the design. The optional 14″ x 14″ (360mm x 360mm) jumbo hoop is perfect for large projects like jacket backs and quilt blocks. The jumbo hoop is activated through the Palette 9 embroidery software.